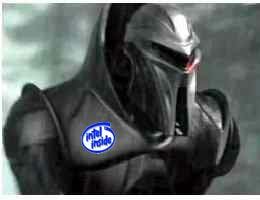 But now that we have this brand new cylons, have you wondered what happened to the old cylons? Here is a possibility. 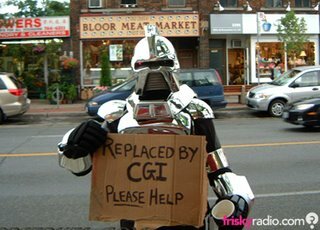 Will the Cylons be outsourced? Who knows we are getting ready for the new Season in September. I can not wait to find out what is going to happen to the fleet, can you? At any rate they are just frakking toasters aren't they? 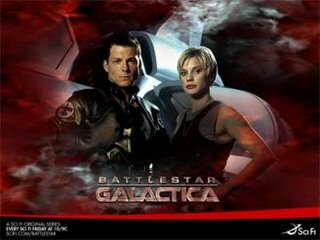 But never forget that this Apollo and this Starbuck are very different than the old ones. May the Gods of Cobol have mercy on our souls! I cannot wait to see what's going to happen either!